Bown, Oliver and Brown, Andrew R. 2018. New Directions in Third Wave Human-Computer Interaction: Volume 1 - Technologies. p. 67. 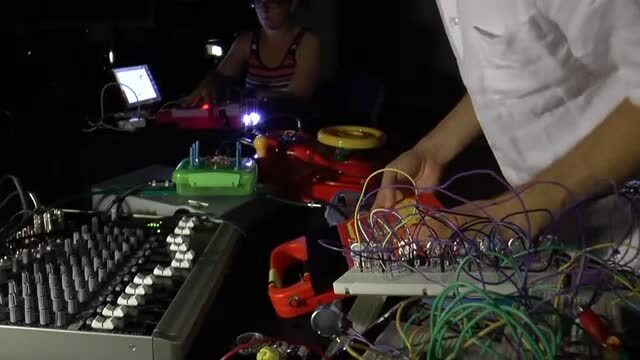 In this article we discuss how contemporary computational and electronic music-making practices might be characterised as a post-digital avant-garde. We also discuss how practitioners within the higher education sector can play a role in leading the development of these practices through their research and teaching. A brief overview of twentieth-century avant-garde practices is provided to set the scene before a case for defining a post-digital avant-garde is made. By way of illustration, the authors describe their own post-digital creative practices and then discuss how these integrate into their academic duties. We reflect on themes that run through avant-garde practices and continue into the post-digital. Finally, we describe how these themes inform an undergraduate music technology programme such that it might be shaped to reflect these developments and prepare students for a post-digital future. Attali, J. 1985. Noise: The Political Economy of Music. Vol. 16. Manchester: Manchester University Press. Borgdorff, H. 2006. The Debate on Research in the Arts. Bergen: Bergen National Academy of the Arts. Braungart, M. and McDonough, W. 2009. Cradle to Cradle: Remaking the Way We Make Things. London: Vintage Books. Brown, A. R. and Sorensen, A. 2009. Integrating Creative Practice and Research in the Digital Media Arts. In H. Smith and R. Dean (eds.) Practice-led Research, Research-led Practice in the Creative Arts. Edinburgh: Edinburgh University Press. Buxmann, P. and Hinz, O. 2013. Makers. Business & Information Systems Engineering 5(5): 357–360. Cascone, K. 2000. The Aesthetics of Failure: ‘Post-digital’ Tendencies in Contemporary Computer Music. Computer Music Journal 24(4): 12–18. Cascone, K. 2004. Laptop Music – Counterfeiting Aura in the Age of Infinite Reproduction. Digital Aesthetics Research Centre. http://darc.imv.au.dk/?page_id=17 (accessed 7 April 2016). Cascone, K. 2010. The Failure of Aesthetics. https://vimeo.com/17082963 (accessed 7 April 2016). Collins, N. 2009. Handmade Electronic Music: The Art of Hardware Hacking, 2nd edn. New York: Routledge. Collins, N., McLean, A., Rohrhuber, J. and Ward, A. 2003. Live Coding in Laptop Performance. Organised Sound 8(3): 321–330. Cook, P. 2009. Re-Designing Principles for Computer Music Controllers: A Case Study of SqueezeVox Maggie. Proceedings of New Interfaces for Musical Expression (NIME). www.nime.org/proceedings/2009/nime2009_218.pdf (accessed 22 January 2016). Cottington, D. 2013. The Avant-Garde: A Very Short Introduction. Oxford: Oxford University Press. Croft, J. 2015. Composition is Not Research. Tempo 69(272): 6–11. Demers, J. 2010. Listening Through the Noise: The Aesthetics of Experimental Electronic Music. New York: Oxford University Press. Ferguson, J. R. 2013. Imagined Agency: Technology, Unpredictability, and Ambiguity. Contemporary Music Review 32(2–3): 135–149. Ferguson, J. R. 2015. Perspectives on Research-led Teaching. In E. Haddon and P. Burnard (eds.) Creative Teaching for Creative Learning in Higher Music Education. Farnham: Ashgate. Fineberg, J. 2000. Art Since 1940: Strategies of Being, 2nd edn. London: Laurence King. Gaylor, B. 2008. RiP!. A Remix Manifesto. http://ripremix.com (accessed 7 April 2016). Harrison, N. 2004. Can I Get An Amen? http://nkhstudio.com/pages/popup_amen.html (accessed 7 April 2016). Heidegger, M. 1977. The Question Concerning Technology and Other Essays. New York: Harper and Row. Hugill, A. 2012. The Digital Musician, 2nd edn. New York: Routledge. Jenkins, H. 2009. Confronting the Challenges of Participatory Culture: Media Education for the 21st Century. Cambridge, MA: MIT Press. Jensen, D. 2006. Endgame: The Problem of Civilization. New York: Seven Stories. Krauss, R. E. 1985. The Originality of the Avant-Garde and Other Modernist Myths. Cambridge, MA: MIT Press. Mooney, J. 2015. 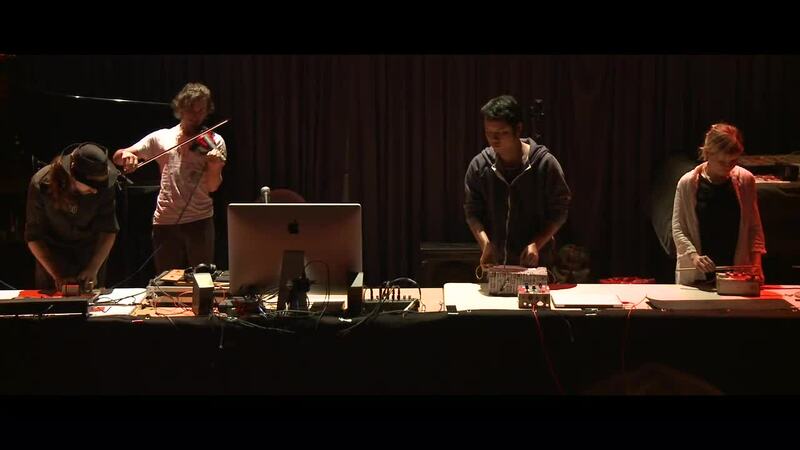 Hugh Davies’s Instruments and Live Coding: Two Conference Presentations. Hugh Davies Project. https://hughdaviesproject.wordpress.com/2015/06/29/ems-iclc (accessed 22 January 2016). Mortimer, J. H., Nosko, C. and Sorensen, A. 2012. Supply Responses to Digital Distribution: Recorded Music and Live Performances. Information Economics and Policy 24(1): 3–14. Nyman, M. 1999. Experimental Music: Cage and Beyond, 2nd edn. Cambridge: Cambridge University Press. RISD (Rhode Island School of Design) 2015. STEM to STEAM. http://stemtosteam.org (accessed 7 April 2016). Rushkoff, D. 2010. Program or Be Programmed: Ten Commands for a Digital Age. New York: OR Books. Sorensen, A. 2005. Impromptu: An Interactive Programming Environment for Composition and Performance. In A. R. Brown and T. Opie (eds.) Proceedings of the Australasian Computer Music Conference 2005. Brisbane: ACMA. 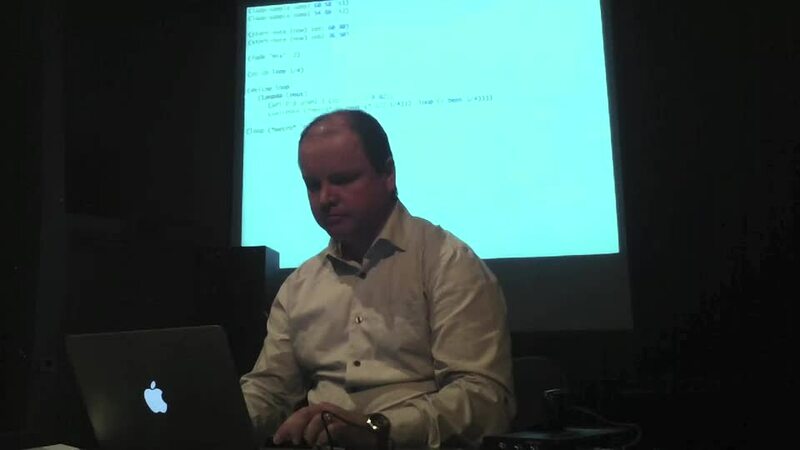 Sorensen, A. and Brown, A. R. 2007. aa-cell in Practice: An Approach to Musical Live Coding. In Proceedings of the International Computer Music Conference. Copenhagen: ICMA. Sorensen, A. and Gardner, H. 2010. Programming with Time: Cyber-physical Programming with Impromptu. Proceedings of the ACM International Conference on Object Oriented Programming Systems Languages and Applications . New York: ACM. Taylor, T. D. 2001. Strange Sounds: Music, Technology and Culture. New York: Routledge. Thomas, G. 2015. Trying to Teach Popular Music as a Research-led Subject in Higher Education: Part I – Free Creativity as a Vocational Imperative. https://clawsandtongues.wordpress.com/2015/12/19/trying-to-teach-popular-music-as-a-research-led-subject-in-higher-education-part-i-free-creativity-as-a-vocational-imperative (accessed 22 January 2016). V2_, Institute for the Unstable Media. Mission. http://v2.nl/organization/mission (accessed 2 February 2016). Wheeler, B. 2005. Performance Art and its Institutionalization: A Map. www.brittawheeler.com/#!about/cee5 (accessed 7 April 2016).